Okay, now we have a working Bebop 2. Its now time to see if I can fix the GPS chip. 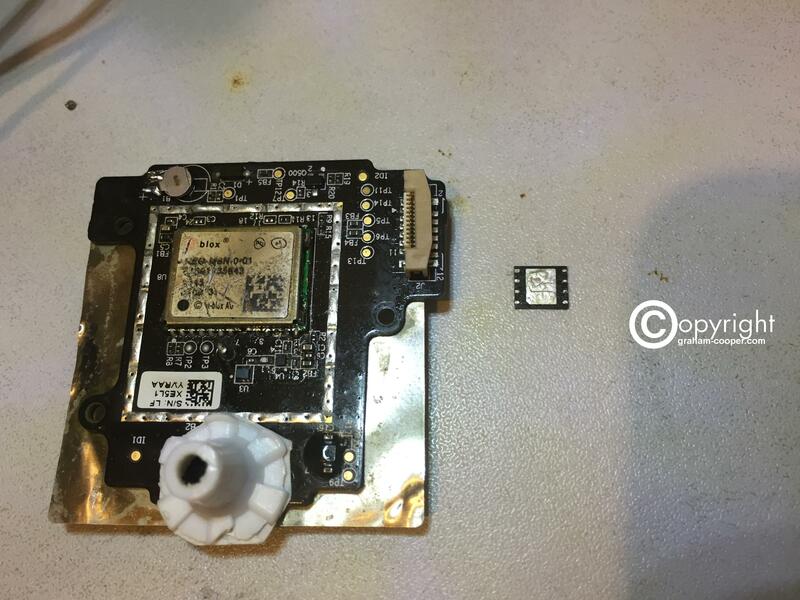 But I do have a not used anymore GPS that has the correct UBLOX chip on it so I used a hot air station to remove the chip. The Original UBlox chip had a short on the 3 volt vvc line and that was why it was removed. Takes quite a bit of heat to remove these by the way. Anyway, removed it and soldered it back to the Parrot GPS board. Fitted the board back to the Bebop and fired it up and no GPS still! In the app where it should say GPS version it was just blank. 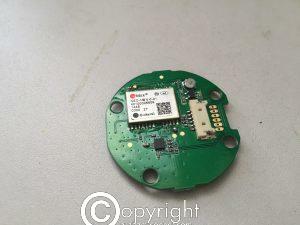 I figured it needed to use the correct Parrot GPS firmware as opposed to what was already in the GPS chip. So tried flashing the firmware, hoping that would sort it out, but sadly still nothing. So it occured to me, maybe if I swap out the winbond firmware ic in the ublox with the original chip off the shot circuit board it may work? Original winbond chip read ok and no shorts. One has to remove the shield on the UBlox chip to get to the winbond ic. 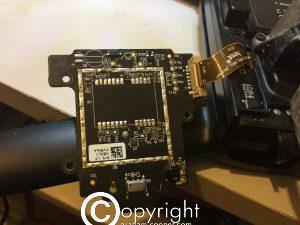 So I removed the original winbond chip from the new ubloc board and fitted the small firmware chip that is pictured above, and then refitted the shield. Fitted the GPS board back and it worked!, and also it updated the GPS version. Went for a quick test outside and it picked up about 16 satellites and worked no problems. 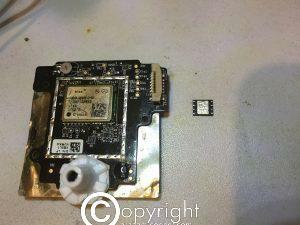 So yes with some patience and having a spare correct UBLOX gps chip around one can change it. 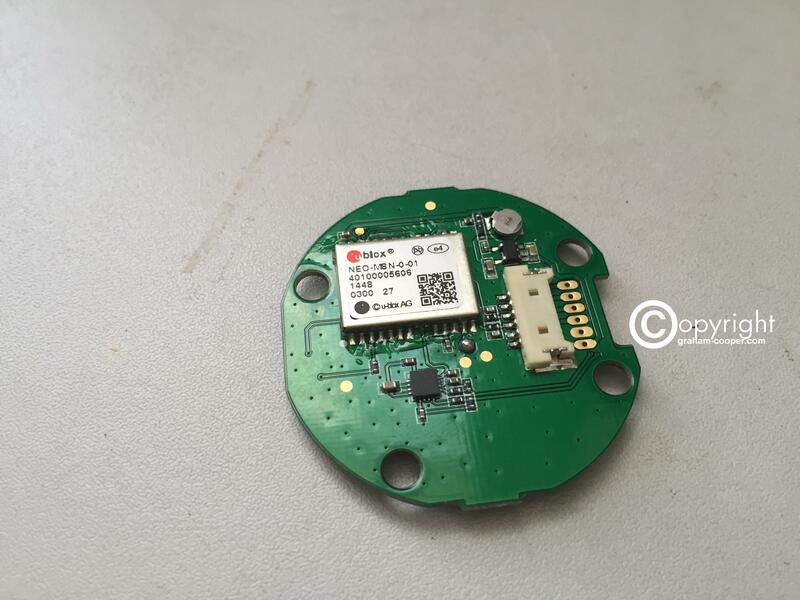 But if you need to buy the chip the cost and shipping makes it much easier and not much difference in price really to buy a new GPS board from Parrot. This is really just a test to see if it’s fixable. 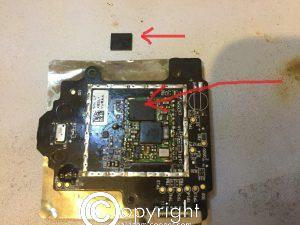 Considering this board been through salt water damage, I would not advise to do this and then relie on it when your Bebop is up high or away in distance as any other damage might show up and you will lose your device. The best way is just to buy a new board! A video I made about the repair and also test of some new LG HG2 Cells.